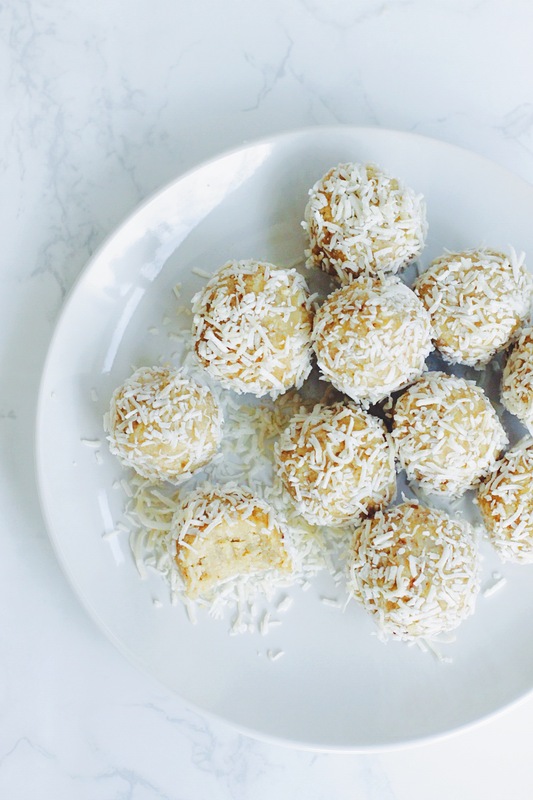 What’s more festive than a plate of lemon coconut energy (snow)balls? Not much! These snowballs are the perfect snack for holiday parties, to keep in your purse during long work days or to grab in between meals. They are packed with healthy fats and protein to keep you satiated through snack times. They also make the best dessert for potlucks! In a food processor, blend the cashews until they are nicely ground, about 10 seconds. Next, add the dates, lemon zest, lemon juice, coconut shreds, coconut cream, maple syrup, turmeric, ginger and salt and blend until nicely combined. It might form a large ball, just keep blending until everything is combined and smooth. Pop the mixture into the freezer for 30 minutes to harden. Remove them from the freezer and roll into tbsp. sized balls with your hands. 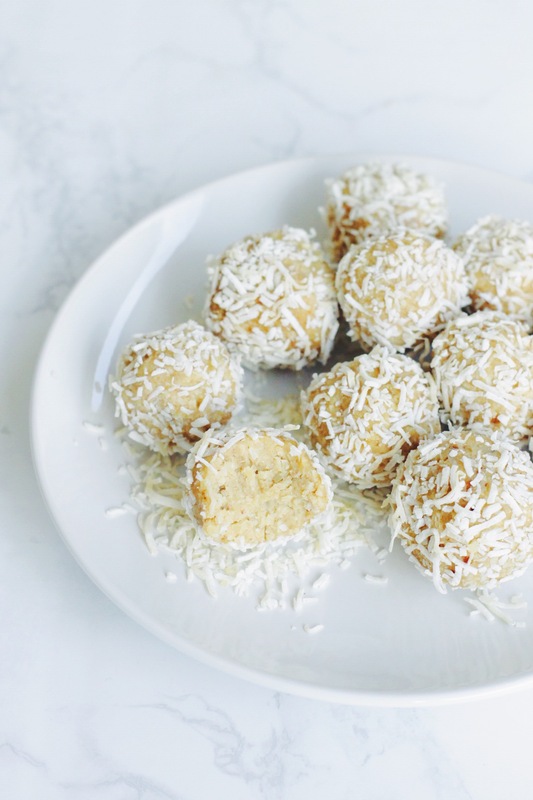 Roll the balls in shredded coconut so they look like snowballs. Put the balls back into the freezer and freeze for 4 hours, or overnight. I like to store mine in an airtight container in the fridge for up to 1 week, but you can keep them in the freezer for longer.